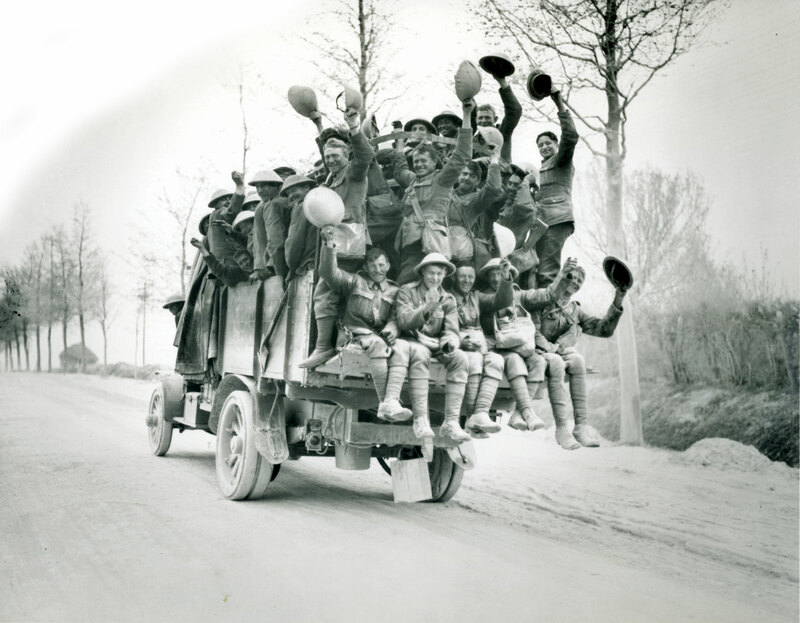 Victorious troops return from Vimy Ridge, the first battle where all four Canadian divisions fought together. Two Cantleys, both named Robert and both born in Aberdeen, Scotland, and both fighting in Canadian uniforms were wounded at Vimy. Like so many soldiers of a young and growing Canada, they were labourers, one a bridge builder, the other a railroader. There were just eight Cantleys and one Cantlie. 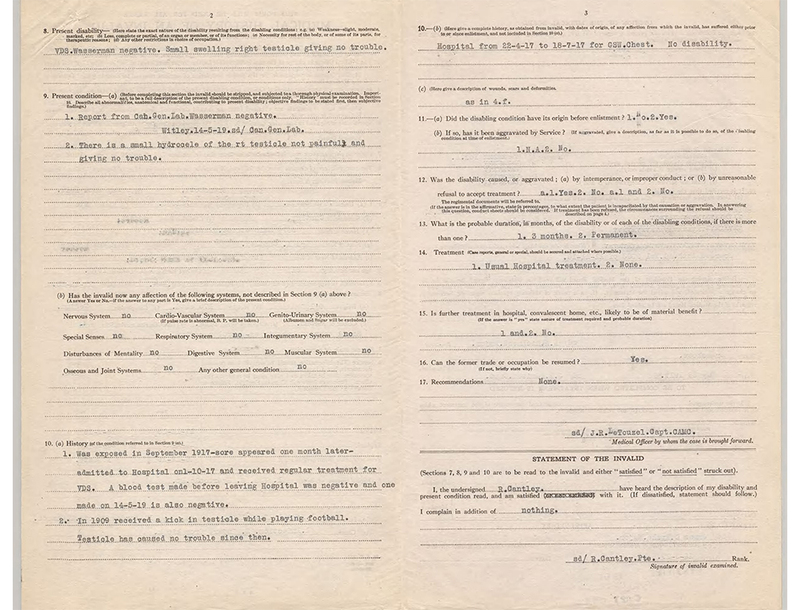 According to their service records posted online by Library and Archives Canada, some were born overseas, yet they hailed from a wide swath of their adopted Canada, enlisting in Nova Scotia, Quebec and Manitoba. From bridge-builder to prospector to railroader, they reflected the core trades and values of a growing, developing country of fewer than eight million people. Most were privates, earning a mere $15 a month—about $500 today. Two brothers made officer, another was a decorated lieutenant-colonel. Their destinies in wartime France included decisive battles and covered the gamut of fates, from gunshot and shrapnel wounds to influenza, venereal diseases and shell shock. One was gassed. Two caught bullets at Vimy Ridge and lived to tell the tale. For one Cantley, the war ended before it started. Another was killed in one of his first battles. His name was Private Alexander Alfred Cantley, a prospector born in Kilkenny, Ireland. He enlisted at Valcartier, Que., on Sept. 18, 1914, arrived in France with the 15th Battalion (48th Highlanders of Canada) in early 1915, and died during the Second Battle of Ypres on April 29. No details of his fate are given in his 28-page service record. The location of his death is marked simply as “field.” He was 29. Lieutenant Charles Lang Cantley was a mining engineer from New Glasgow, N.S. He enlisted at age 30 in September 1914—a month after his younger brother, 20-year-old Lieut. Donald Fraser Cantley. The elder was wounded by exploding shell fragments in the Bourlon Woods outside Cambrai, France, on Sept. 27, 1918. “Was peppered pretty well all over [by] bits of shrapnel,” said his medical report. A large shell fragment went through his left knee, leaving him with a four-inch scar and a permanent limp. A member of the 13th Battalion (Royal Highlanders of Canada), Charles was also wounded in the right wrist and below his right eye. 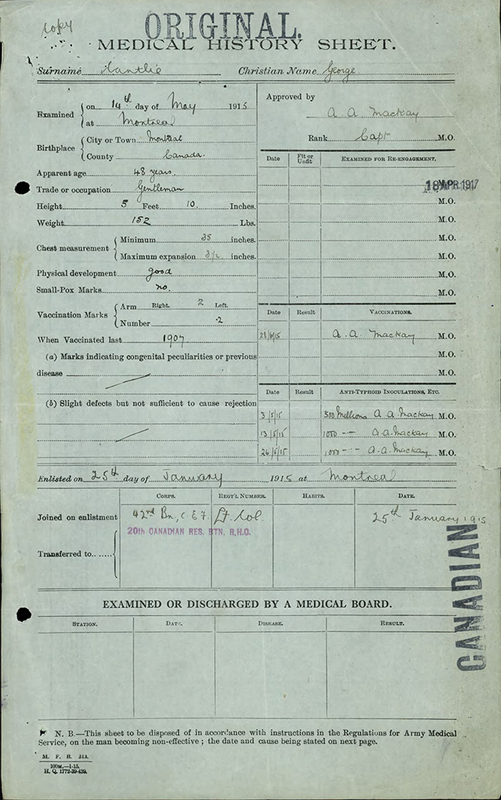 He was declared disabled on June 7, 1919, and invalided to Canada. There was still shrapnel in his body when he died in July 1935 at just 51 years old. 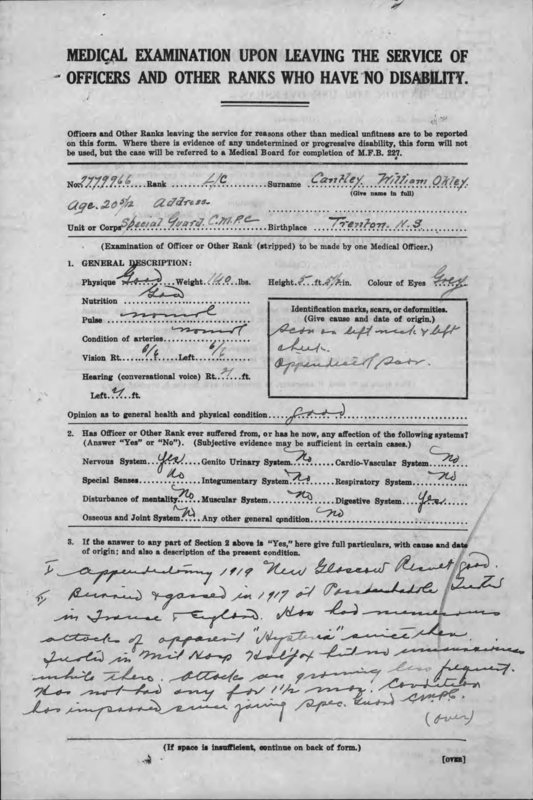 His brother Donald, a student when he signed up, was Mentioned in Dispatches—for what, the records don’t say—and survived two bouts of influenza, in 1918 and again in 1919, before he was shipped home with jaundice. Their father, Thomas Cantley, 58, was an honorary colonel, probably of the 78th Pictou Highlanders in which both his sons served before the war. 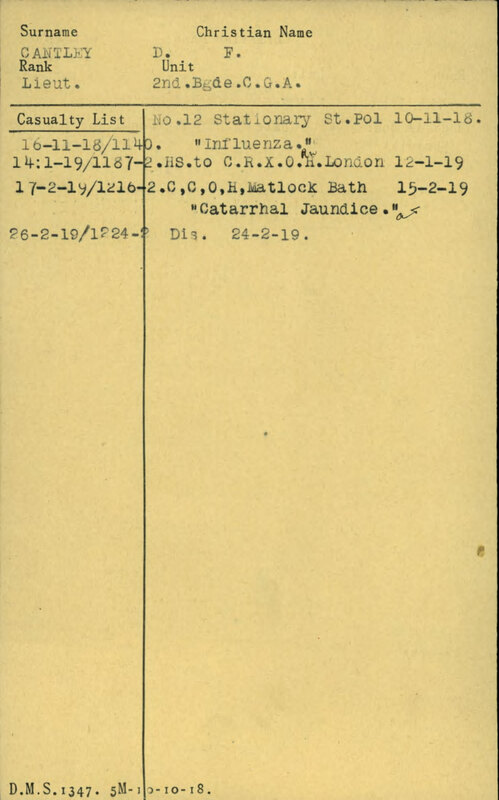 His war record is sketchy, noting brief service in England and, it appears, at defence headquarters in Rouen in 1915. The Canadian records ended abruptly when he was apparently transferred to the British Expeditionary Force. Thomas Cantley headed a steel plant and Nova Scotia Archives records say that he travelled extensively throughout Europe between 1895 and 1919 marketing Wabana iron ore and coal. They say he was instrumental in launching wartime production of ammunition for Great Britain. He went on to become a Tory MP after the war, representing his Pictou-area riding from 1925 into the mid-1930s. He was appointed to the Senate in 1935, where he served until he died a decade later. At 18 and just five-foot-five-and-a-half, 105 pounds, William Okley Cantley was the youngest of the Cantleys to join up. He was a flat-footed steelworker from Trenton, N.S., when he enlisted in March 1916. He sailed to England aboard the SS Californian, the passenger liner that was the closest ship to Titanic when it went down in April 1912. He joined the Royal Canadian Regiment in France, served in Belgium, and was gassed on Nov. 2, 1917, at Passchendaele. A lance-corporal, he was later diagnosed with gonorrhea and arrived back in Halifax on April 10, 1919, a sick man. 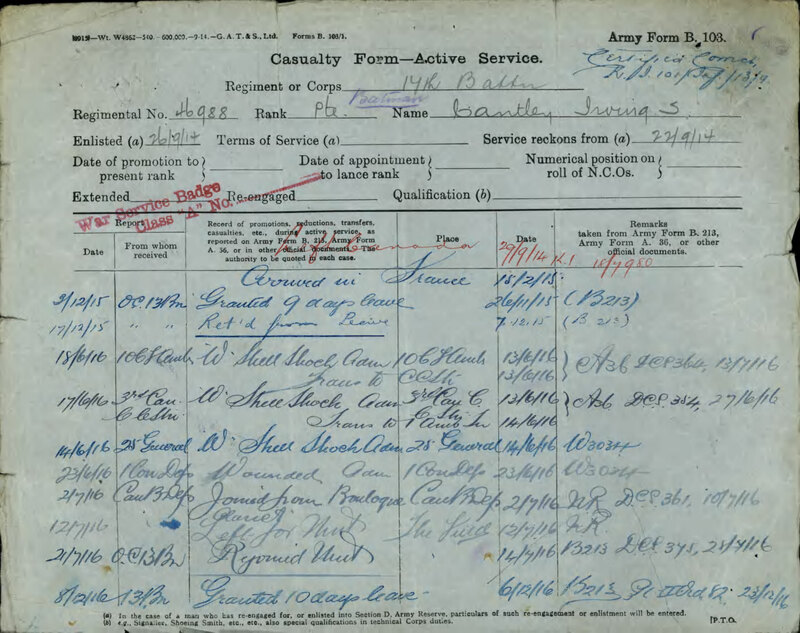 The youngest serving Cantley was discharged in 1920. He would be in and out of hospital with “hysteria” for years after. Later reports indicated his condition was improving and the incidents were occurring less often. Just five-foot-four, Irving Seeley Cantley, 20, was a steelworker from New Glasgow, N.S. He served with the 13th Battalion (Royal Highlanders of Canada), and on June 14, 1916, 21 months after he had enlisted, he was struck down by shell shock. It was just a month before the Battle of the Somme and Irving would be back in action just after it began in July. He finished the war and returned to Canada with an English bride, Louise, in April 1919. There were two Robert Cantleys—a 19-year-old bridge builder from Brandon, Man., and a 28-year-old railroader from Winnipeg—and both were wounded on the first day of battle at Vimy Ridge, April 9, 1917. Both were born in Aberdeen, Scotland. Whether they were related is unknown. 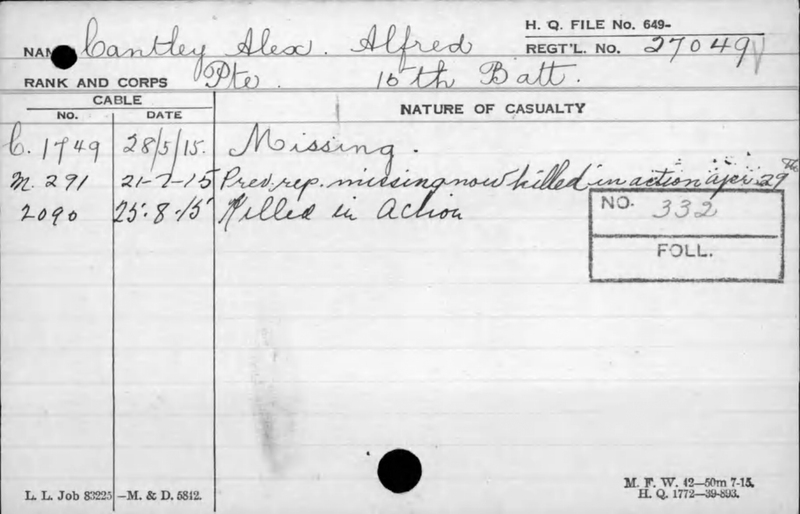 The bridge builder, from the 79th Battalion, took a rifle round through the left knee “while making a charge on an enemy position.” The bullet fractured his femur and passed out the other side. He spent a week in a French hospital, then six months in a British hospital and a further six weeks in a Canadian hospital. He returned home aboard the hospital ship Llandovery Castle, which a year later would be sunk by a German torpedo; 234 of 258 died, many when the U-boat crew machine-gunned survivors. Sgt. Robert Cantley the railroader had shipped to England aboard Titanic’s sister ship, the Olympic, and was shot clean through the chest while serving with the 78th Battalion at Vimy. He survived, only to contract venereal disease five months later. He returned to duty and made it home to Canada in 1919. His last medical, dated May 28, 1919, noted that he had been kicked in the testicles during a football game in 1909 and his right one was still swollen. Cantlie is probably the only one of the group who is remembered a century after he ended his military career, for he is the father of baby Celia, for whom he picked and pressed flowers all over the battlefields of France, sending them back in letters to her that today form the basis of a travelling exhibition called WAR Flowers. Cantlie wrote two letters nightly—one to wife Beatrice and a second to one of his five children. Celia was the youngest. The first commander of the 42nd Battalion (Royal Highlanders of Canada), he was awarded a Distinguished Service Order and was Mentioned in Dispatches “for distinguished and gallant services and devotion to duty” in 1916. Cantlie took a leave of absence and shipped himself home in 1917, returning to England four months later. He did not return to the front, but was appointed commanding officer of the 20th Reserve Battalion, responsible for providing reinforcements to Montreal-based front line battalions. 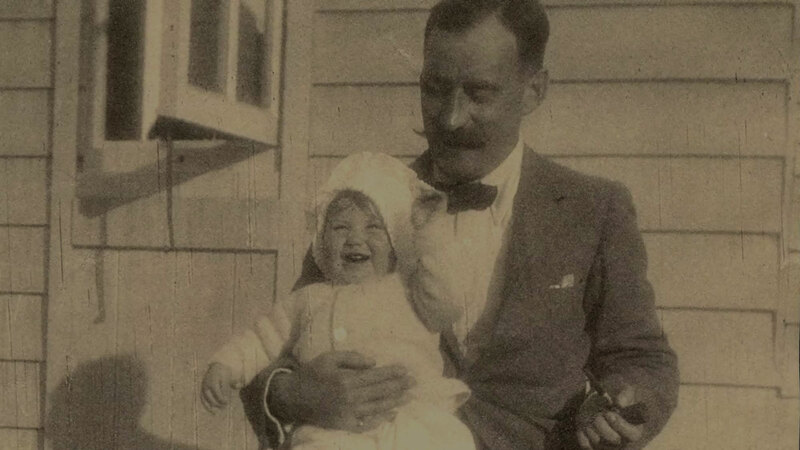 His daughter Celia grew up adoring him, as did his granddaughter, Elspeth, to whom Celia bequeathed a red box full of his letters. Was George Cantlie the father of the Lt Col of the Black Watch killed at Verrieres ridge in WW2? CANTLIE, Lieutenant Colonel, STUART STEPHEN TUFFNEL, E D, Black Watch (Royal Highland Regiment) of Canada. 25 July 1944. Age 36. Son of Lt.-Col. James Alexander Cantlie and Anne Cantlie; husband of Muriel Temple Cantlie, of Montreal, Province of Quebec. Grave Ref. X. D. 7. 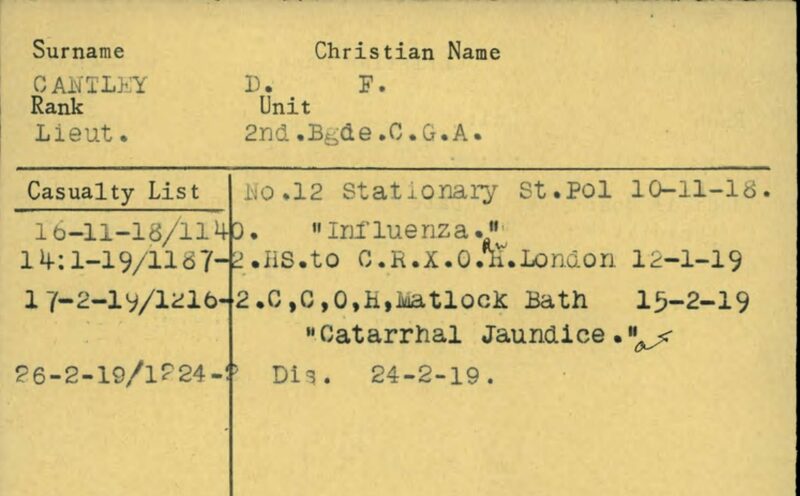 Actually, Cantlie did not suffer from “battle fatigue” and nor did he ship himself home in 1917. By Nov 1916, approaching 50, he was considered too old to command an infantry battalion in the field, and, to his great disappointment, he was appointed commanding officer of the 20th Reserve Battalion in England, responsible for providing reinforcements to Montreal-based front line battalions in France & Belgium. He remained with the 20th Reserve until the end of the war, although he did return to Canada on leave. 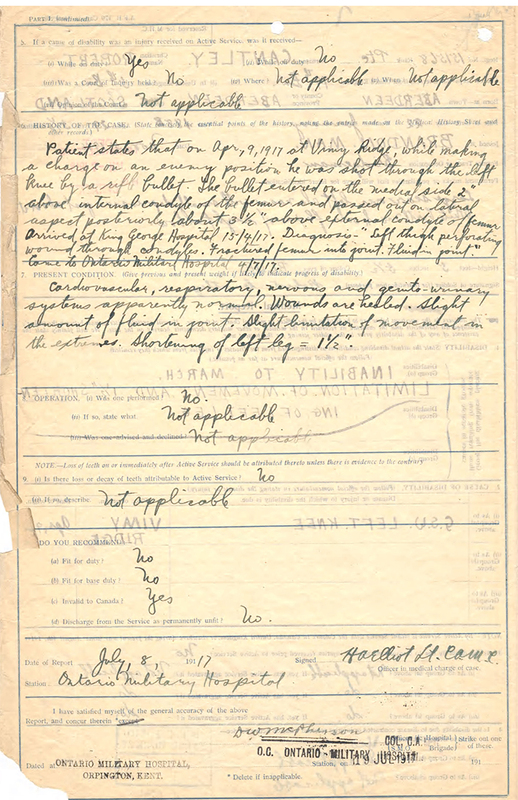 His DSO was awarded for his gallant services at Mount Sorrel (June 1916). His only son, Stephen Douglas Cantlie, commanded the 1st Battalon, Black Watch of Canada, during WWII (1942-43).